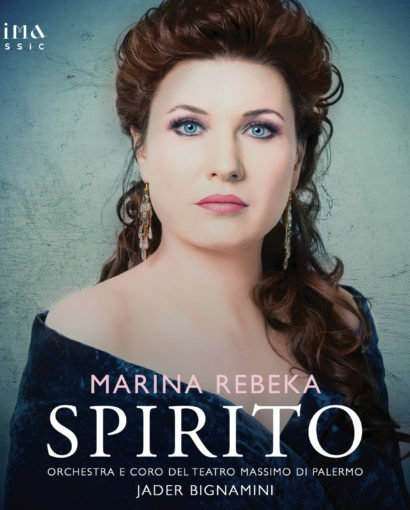 The Latvian soprano Marina Rebeka has just released a new recital disc, Spirito, of bel canto arias by Bellini, Donizetti, and Spontini, on her new label, Prima Classic. 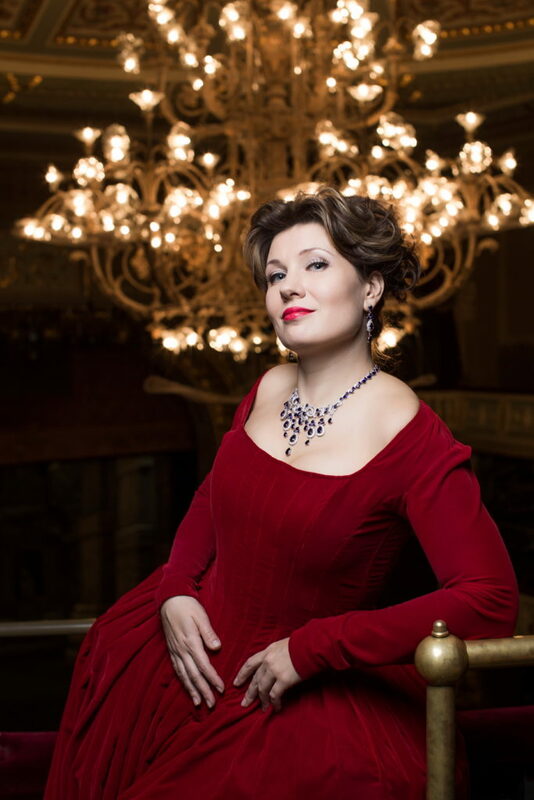 Whilst appearing in the title role in Donizetti's Anna Bolena in Bordeaux, Marina made a brief visit to London and I was lucky enough to be able to meet up with her to chat about the new disc, and about her plans for the new label. 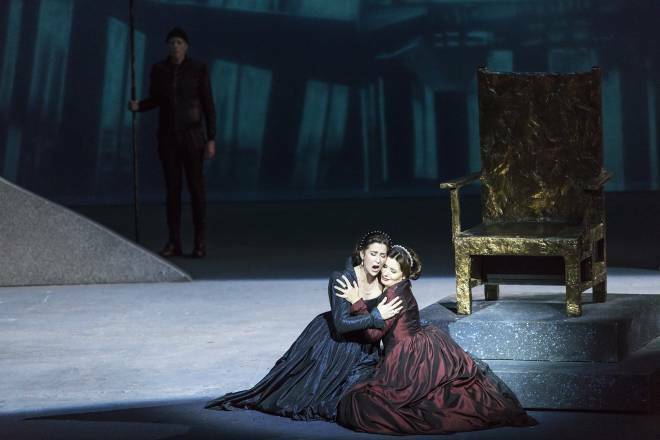 Spirito has scenes from Bellini's Norma and Il Pirata, Donizetti's Maria Stuarda and Anna Bolena, and Spontini's La Vestale, and in fact, they could all be classified as mad scenes or prayers and I wondered whether that had been a deliberate choice. In fact, Marina had chosen what she felt was the most difficult aria in each opera, often going for the most extreme moment, something which Marina feels is in keeping with her own dramatic nature. She also wished to do complete scenes rather than single arias, and the challenge was to fit everything onto the disc (in fact, the scene from Anna Bolena has a small cut), and she had to drop the idea of doing the final scene from Donizetti's Roberto Devereux simply because it would have been too long. Once Marina has sung Imogene in Bellini's Il Pirata in Geneva in February 2019, she will have all the Italian roles on the disc in her repertoire. Julia from Spontini's La Vestale is rather rare and is still best known for being sung, in Italian, by Maria Callas though Ricardo Muti conducted it at La Scala in the original French. And Marina was interested in performing the music in French. She finds the music of La Vestale more engaging in French, with the phrases being longer (in Italian, the translation needs to break the phrases up). In French, the music shows the first intentions of the composer (La Vestale was written in 1807 for the Paris Opera). Marina finds it a beautiful piece with the influence of Gluck, and Berlioz admired the work a lot. Part of the reason for choosing to include a scene from the opera on Spirito was that Marina wanted to show why La Vestale was so famous. This is something that Marina enjoys, for all the music on the disc she has returned to the composer's manuscripts and created her own editions (with Marija Beate Straujupe, the librarian at Latvian National Opera). Marina finds it exciting to see the music in the original manuscript, the way the words and the notes link up, and the indications of the way the composer originally thought about the music. They found small changes between the manuscripts and printed editions, ungrammatical phrases, which Marina found brought her closer to the composer. Marina's interest in composers' original manuscripts began in 2012 when she was recording Rossini's Petite Messe Solennelle (with Antonio Pappano and the Orchestra e Coro dell'Accademia Nazionale di Santa Cecilia) and saw a facsimile of Rossini's original manuscript where in the aria O salutaris hostia , the word hostia appeared only once and in the rest of the aria it was actually hostilium. She found it fascinating the way the manuscript was different from the printed edition, the way the composer had adapted the music to suit particular performers. This is very true of an opera like Donizetti's Maria Stuarda where the printed edition has various versions of the same aria listed in the appendix. Spirito is the first disc on Marina's new label, which means that she can do things differently and create a very personal product, and make something more engaging. The idea for the label arose partly from Marina's experience with bigger labels where everyone was rushing to get the job done against deadlines. So the new label enables her to fully participate in the editing process, and do it properly. Another reason for Marina's interest is that some voices are considered good for recording, because of the way the equipment reacts, so smaller voices are regarded as easier to record. Bigger voices, such as Marina's, are harder to record and that is what Marina and her new recording label are determined to get right. To ensure that voices like Marina's sound the same on the disc as live. If the technology gets it wrong, then the high harmonics in the high tessitura can make the voice sound as if it is shouting, and this she and her team are determined to avoid. Marina does not know how the label will go, but she certainly has plenty of ideas, and there are four projects on the label's books for 2019. She has a full schedule until 2023 but has more ideas for recordings for herself, and for other singers as well as whole operas. She thinks it important such talented artists should be able to leave a trace. She is proud to be the only major singer to start her own, independent label nowadays. The only singers who have done it before were Alfredo Kraus and Edita Gruberova who created Carillon and Nachtigall records respectively. 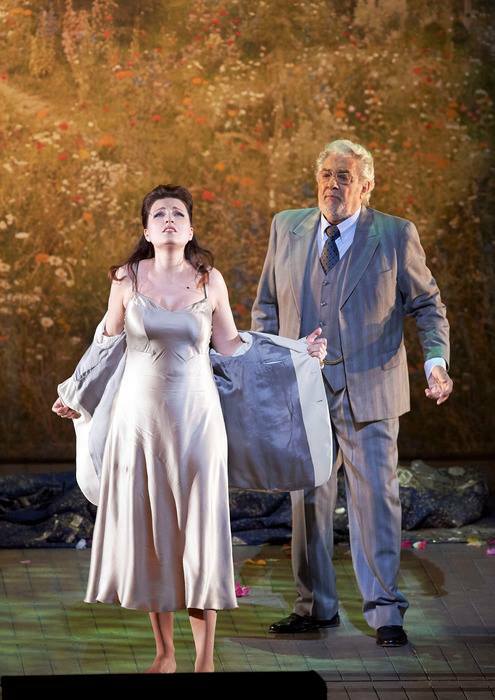 So, she had no plans but when she was 13 her grandfather took her to see Bellini's Norma, and she immediately thought 'I am going to do this'. This was around the time of the Three Tenors concerts, and Pavarotti's voice also made a big impression on her. Though she played the piano, she knew no theory but an older friend suggested she try a music school which had opened. She was told she was too young, but they listened to her and she was allowed to start studying. Her accompanist there Vilma Cīrule would go on to be a great influence in Marinas' life and a dear friend. She had been taking private lessons in solfeggio and harmony after school for four years to be prepared for Music Academy in Riga, but when she did the first singing exam, she was told to have no talent and suggested to come back next year. This was a collapse of all her plans and hopes. In fact, she went to another music college (Jāzeps Mediņš Riga Music College) and studied there, and came out with a firm technique. By then, the Conservatoire did offer her a place but she said no, and went to the Conservatorio Arrigo Boito in Parma, later on moving to Rome where she was able to study both at the Conservatorio di Musica Santa Cecilia and the Accademia Internazionale delle Arti (AIDA), which gave her more opportunities. But at first, placing her voice was difficult. 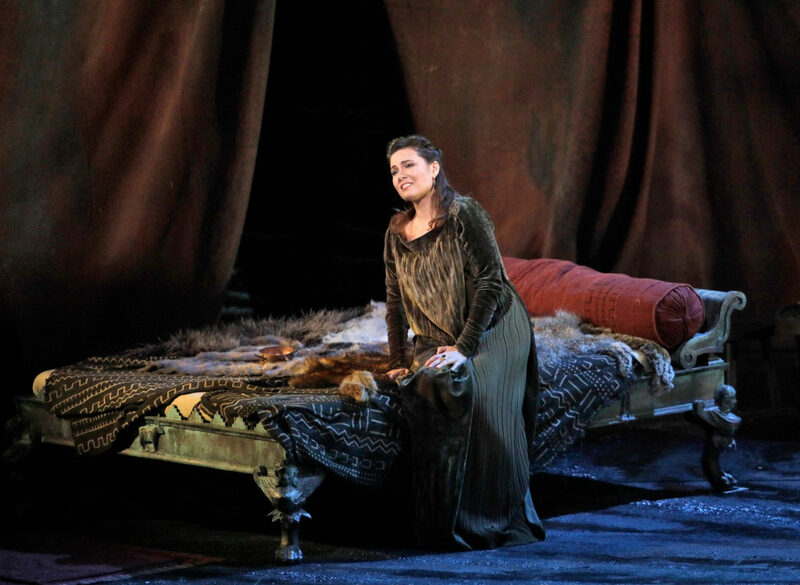 She did not, yet, have the dark, dramatic colours in her voice for the more dramatic repertoire, and her huge extension meant that she could sing the Queen of the Night, but her voice was not light enough for the light coloratura soprano repertoire. She entered a competition singing the Queen of the Night (from Mozart's The Magic Flute), and the title role in Bellini's Norma. Fiorenza Cossotto, who was on the jury, took her to one side and told her that she had to choose, she could not do both roles (nowadays you have to fit in one "fach" - so-called voice type and not do everything). And in fact, she did lose her voice during her studies in Rome. This was the time when she realized that the only person she could rely on was only herself. Her break was in Erfurt, where they were auditioning (in April) for a production of La Traviata which was due to open in June. The Intendant, Guy Montavon, took a big risk on her (age 27, no stage experience) and she made her role debut as Violetta in La Traviata. From this came a number of other opportunities, La Traviata at the Volksoper in Vienna, in Staatsoper in Hamburg, Teseo at the Komische Oper in Berlin and Anna Erisso in Rossini's Maometto II at the Rossini Opera Festival in Pesaro. Two years after her debut at Erfurt she was singing among others at La Scala, Milan and Salzburg Festival under the baton of Riccardo Muti. Later came Covent Garden, Metropolitan Opera, Zurich opera house, Vienna State Opera, and all most prestigious world's opera houses and concert halls.